❄【EXCELLENT COMPATIBILITY】Support PlayStation 4, New Xbox One, PC, Nintendo 3DS, Laptop, PSP, Tablet, iPad, Mobile Phone. Please note you need an extra Microsoft Adapter (Not Included) when connect with an old version Xbox One controller and the headset is not compatible with PS3 and Xbox360. 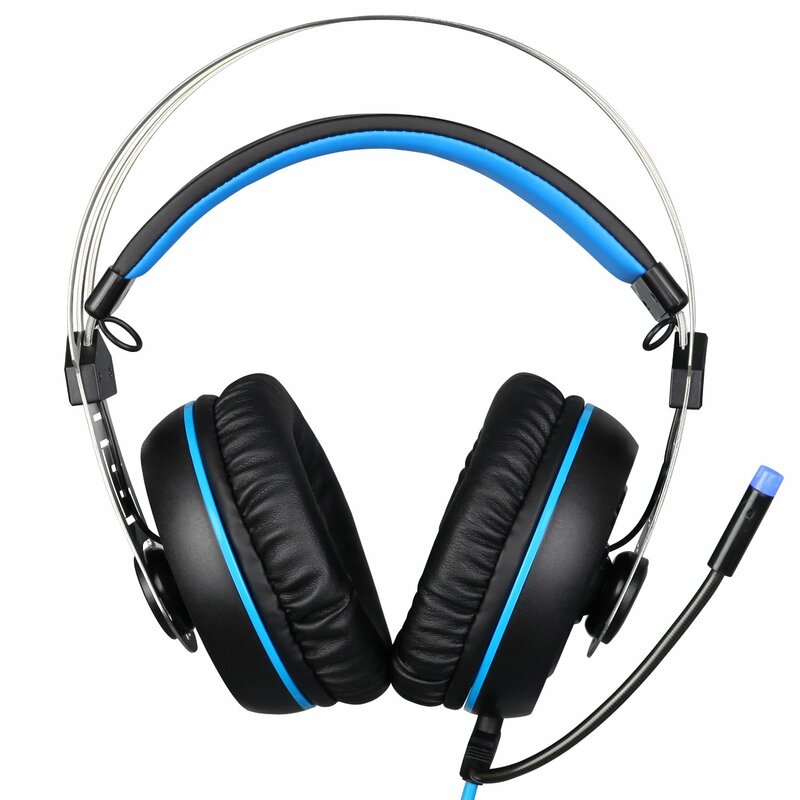 With an 1 to 2 adapter included, the headset is suitable for different scenes. 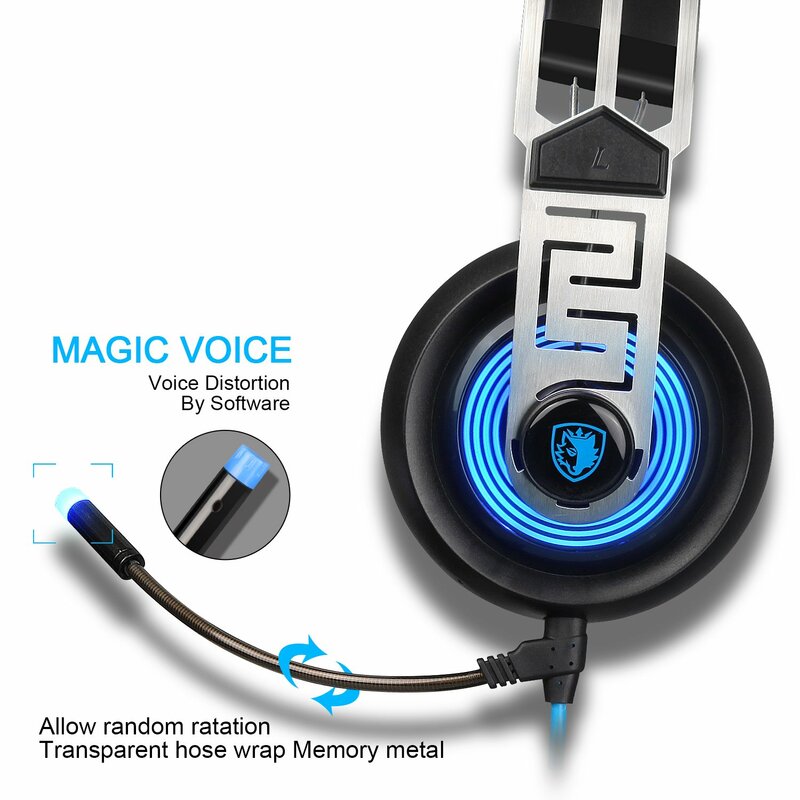 ❄【FLEXIBLE MICROPHONE】 Soft omnidirectional microphone with noise canceling function.The microphone can be adjusted to any position as well, instead of just "up" or "down," so you can position it close to your mouth , In-line controller with volume control and mute key, easy to adjust volume and turn on/off mic during games. ❄【IMMERSIVE COMFORT】 It's just 350 grams which comfortable on your neck, lightweight design and durable materials keep you comfort. Stainless steel head split suspension beam design with self-adjusting headband fits heads of all shapes and sizes comfortably. SADES gaming headset is also friendly to people who wearing glasses. ❄【HIGH QUALITY AUDIO】SADES's large 40mm neodymium magnet drivers are tuned for clear high- and mid-ranges as well as deep bass for powerful lows. A closed ear cup design with plush circumaural padding creates superior sound isolation so you can focus on your game or conversation uninterrupted by outside noise. ❄【WHAT YOU GET】1 x User Manual,1 x SADES. 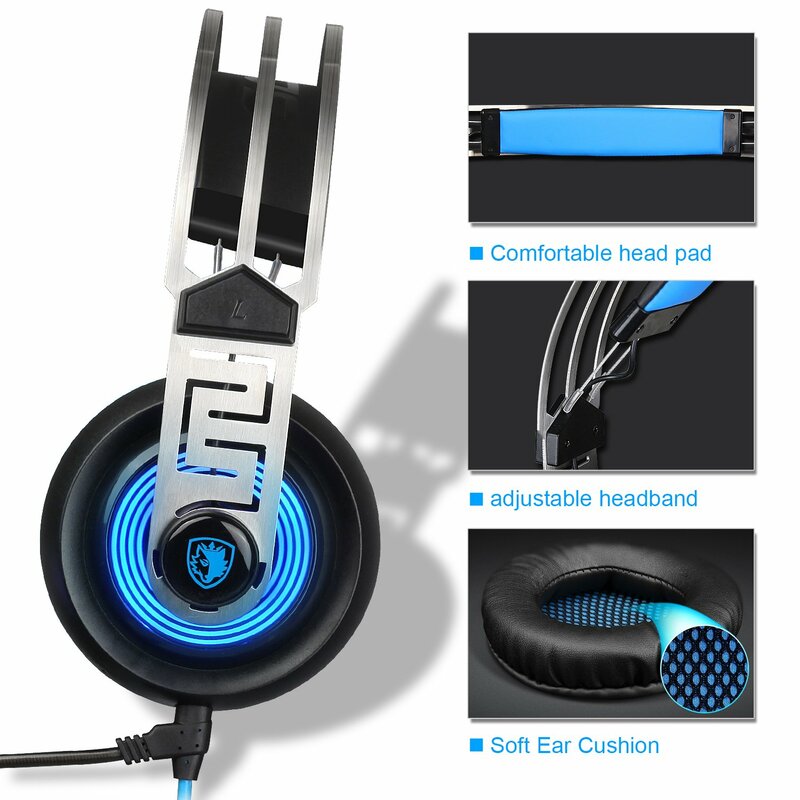 Gaming Headset100% quality guaranteed & 24 months warranty,we promised to bring the best quality gaming headset to our customer. Every customer's right is fully guaranteed during the warranty period. I was wayyy too excited for these that I practically ran to the mailbox and tore the package open, and they didn’t disappoint! 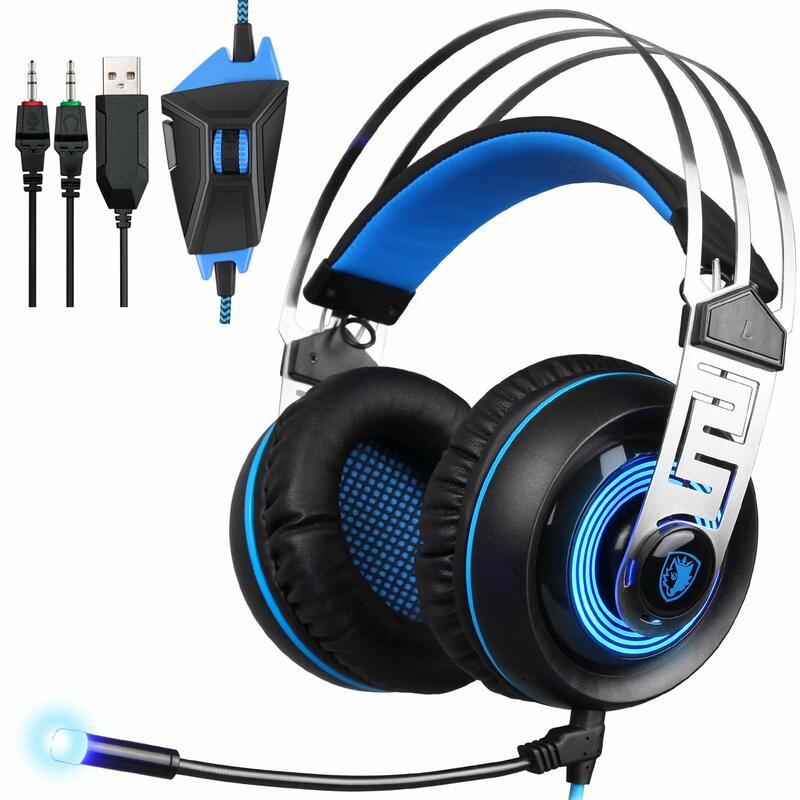 I needed a good pair of headphones for playing WoW with my buddies, and these work great. The mic is adjustable so I can move it all around, and the volume is crisp and clear and can go quite high. The look of these is pretty unique in my opinion, as you can tell my the attached remote. It has different plug ins to use for various things depending on what type of gaming or use you use these for. They block out quite a bit of outside noise - I keep accidentally yelling with them on lol. I’m digging them so far, and they’re a great looking headset. Where do I start with this. 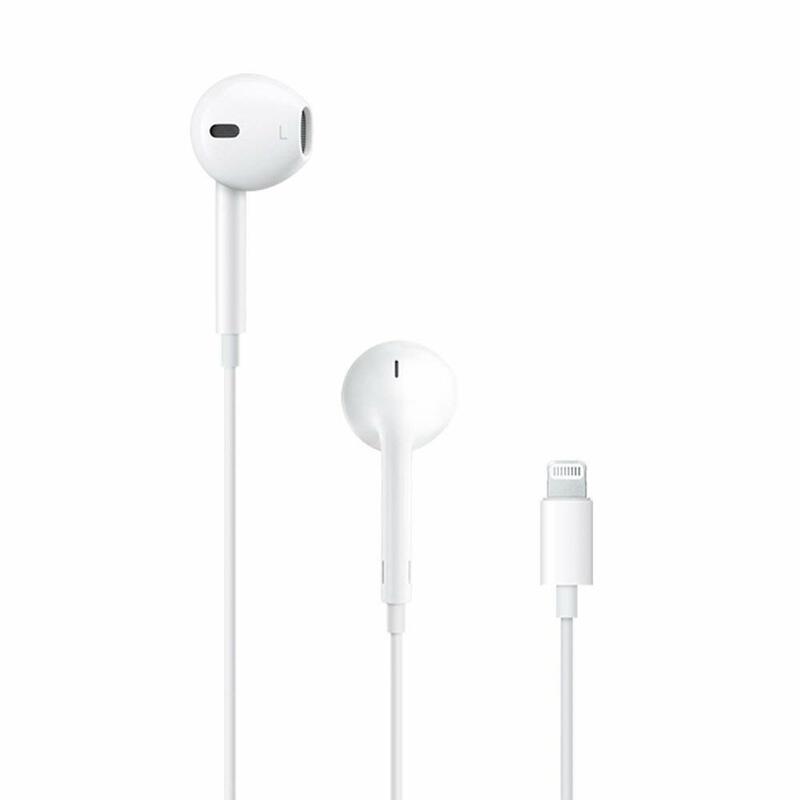 Light weight, nice audio quality. I don't have many complaints about this headset. 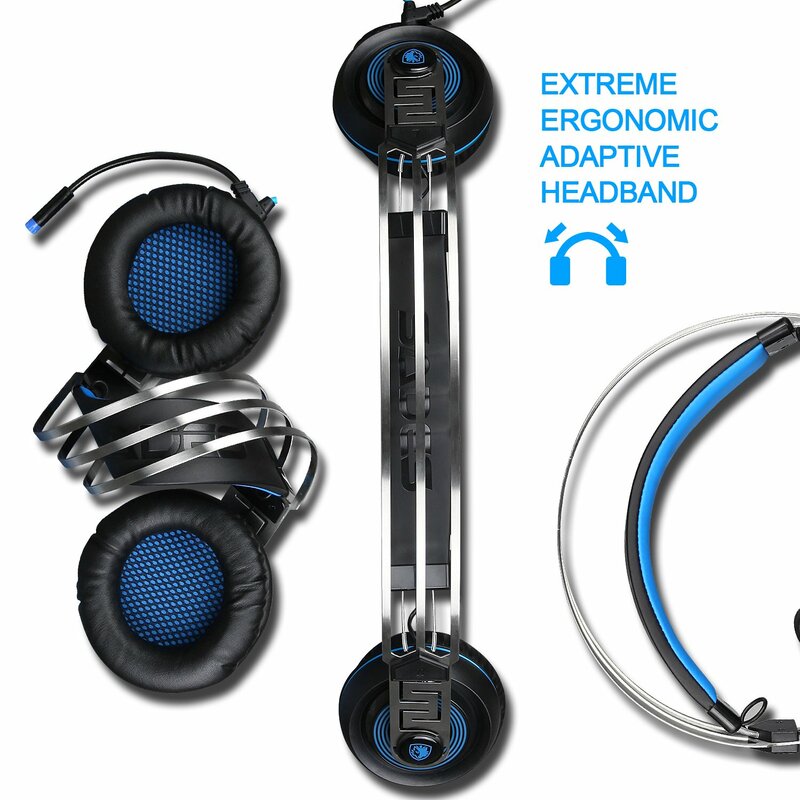 When I first saw this headset I thought "this might be bad" but it managed to prove me wrong. It's allowed for game audio from my surround system to not be dampened compared to a closed ear. I recommend using this headset exclusively for voice chat with your team mates. 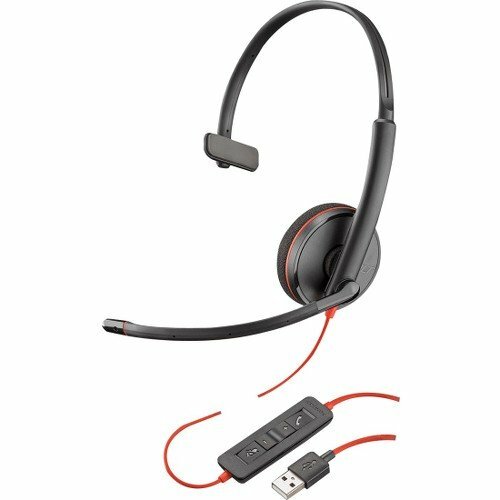 Great headset to buy at its price point. Excellent surround sound with atmos i can tell where they are coming from whether they are behind me, above me, or to the side of me sounds perfect. and customer service was perfect. i got a defective one where i hear a lot of static and was hard to use. i explained what was happening with it and they sent a new one overnight delivery. They earned my business probably for life now just how great they are. The new one doesn't have any issues at all. I am happy with these headphones. I bought this for my birthday and have been very pleased with audio quality. I wish the volume would go up higher, but it doesn't have to. If you didn't have good hearing, then it probably won't work as well for you. But very comfortable to wear for long periods. Not many downsides to this device. I'm not overly picky, but for the price they sound pretty fantastic. I'm happy I bought them. Super light weight and comfortable aimed at those of us that like to use a speaker system rather than headphones but you don't want that voice chatter coming in over the surround system because, let's face it, the quality of the conversation is usually far below the level you want blasting out of your speakers... I haven't had them long but the construction sure feels durable. I bought this a month ago very happy of this purchase .The only issue i have that the headset feels like it is too tight and after awhile my ears start irritated. like it puts too much pressure on the ears. but if i keep adjusting it i can make it work. 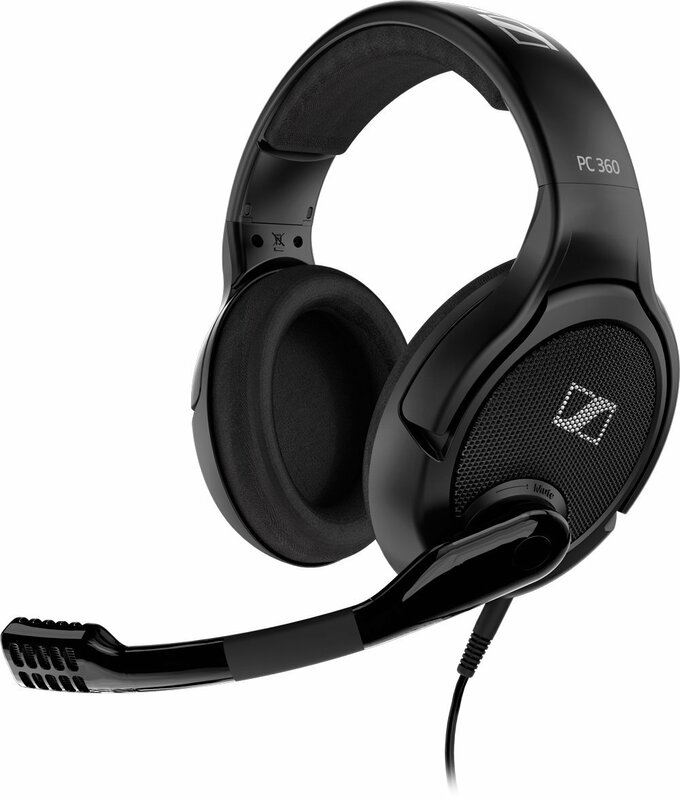 This is by far the best headset i have used though great sound quality also. I received my gaming headset 3 days ago and I have to say I’m very well pleased with the comfort of the ear piece and how light they are. I’ve been gaming for around 4 hours tonight and it barely feels as if I have a headset on. The mic sound is clear and can be positioned easily. Very happy with them. Two thumbs up for these. The comfort of the ear cushions made it feel like I wasn't wearing headphones after only 20-30 seconds. Ample volume and clarity from the drivers and with the packaged, the use on my Xbox One X was simple and made sure I wasn't pausing games to adjust levels. 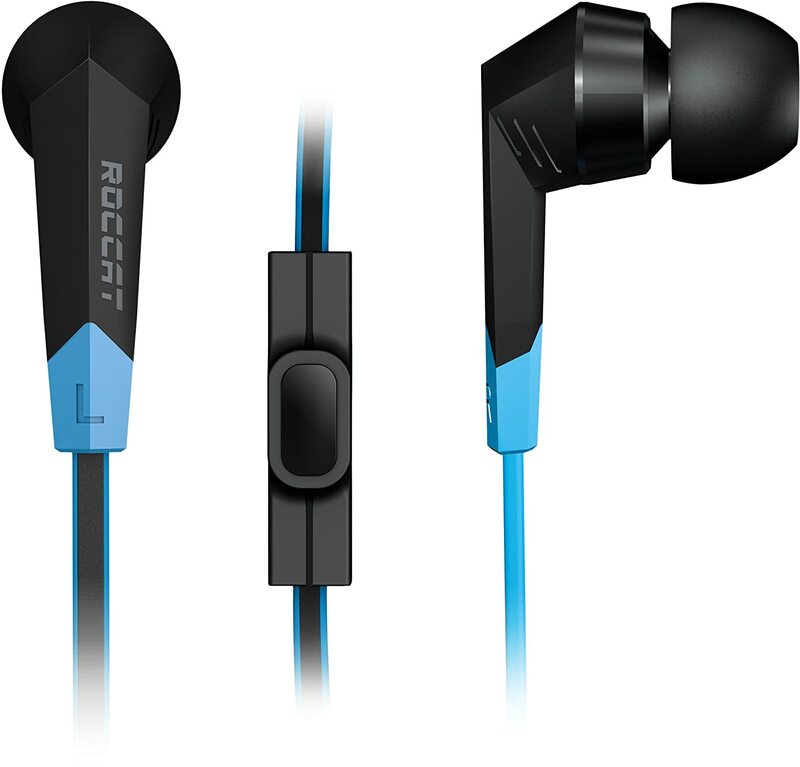 Fantastic headphones - highly recommend.